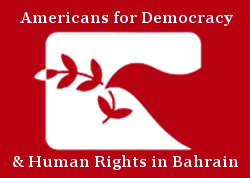 Americans for Democracy & Human Rights in Bahrain (ADHRB) is seeking creative, organized, passionate, and hard-working applicants for a six-month Advocacy Volunteer. We are flexible with an applicants’ start dates, which may begin in April or May, but will run six months, likely through the end of September 2019. This volunteer position is based in Geneva, Switzerland. Through this program, volunteers can expect to gain valuable hands-on international advocacy experience, including knowledge of the United Nations and its mechanisms, in particular the Human Rights Council. We are happy to work with students seeking academic course credit for their work. This is a remote, unpaid volunteer opportunity that reports directly to the Executive Director. Support social media activities and provide administrative support where needed. A demonstrated interest in the MENA region. Please send us your CV and cover letter in PDF format named as SURNAME_Name_CV-CL to habdulla@adhrb.org with Geneva Advocacy Volunteer in the subject line.